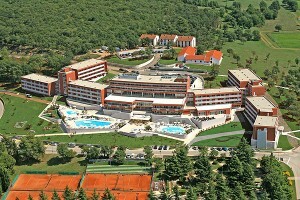 The four-star all-inclusive Hotel Laguna Albatros is a completely refurbished hotel in the beautiful Zelena Laguna Bay near Porec. The hotel lies 200 m from the beach on a hillside, offering nice views over the bay. The Zelena Laguna holiday resort is well known for its rich offer of (water)sports facilities, well tended beaches with sun beds, parasols, showers, beach bars and restaurants, but also for its quiet rocky and pebbly beaches that are only a short walk away, no matter which hotel in the bay you are staying at. 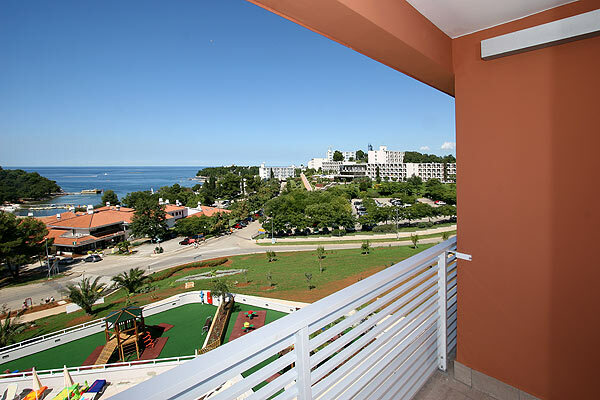 Just 5 km north from Zelena Laguna Bay lies the lovely old town of Porec with its rich history that dates back more than 2000 years, to Roman times. What makes Porec so popular is its combination of culture, rich offer of activities, entertainment, gastronomy, sport and of course sun, sea and beautiful Blue Flag beaches. 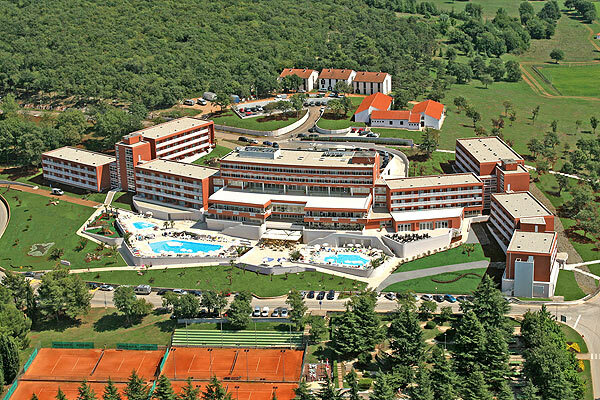 It is no surprise that Porec has won many national tourism awards for its outstanding quality. During the summer season there is a special boat and a bus that travel from the Zelena Laguna Bay to Porec each hour and a tourist train that runs every 30min. 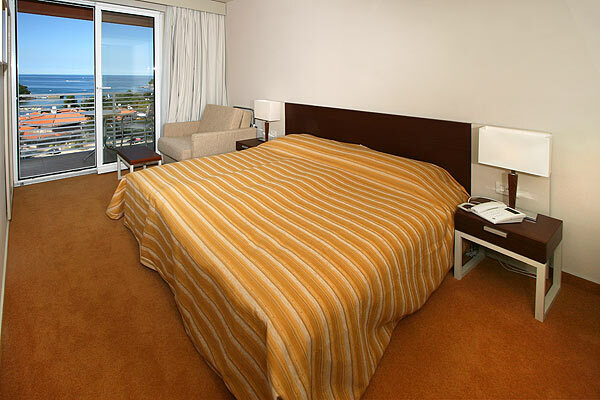 Hotel Laguna Albatros offers 325 air-conditioned rooms with sea view or park view. Not all rooms have a balcony. All rooms have heating, satellite TV, safe, telephone and an en-suite bathroom with shower or bath and hairdryer. Guests can use the mini bar and internet in their rooms at an additional charge. Suites with a bedroom and a living room are also available. 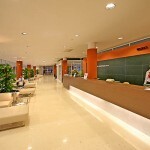 The hotel offers its guests a buffet breakfast, lunch and dinner. Drinks are included and are available all day; with meals and in the bar or on the terrace (excluding imported drinks, bottled wine and beer) and guests can enjoy snacks by the pool all afternoon and evening. The hotel staffs are also happy to prepare a lunch packet for you. There are two outdoor fresh water pools with sun beds and a children’s pool. The hotel also offers a playground for children, a fitness centre with massage service, a medical centre and sports facilities that can be booked at the reception. 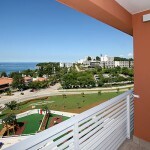 Guests can play tennis, table tennis, mini golf, bicycles, basketball, French bowls, squash, pedal boats, canoes etc. 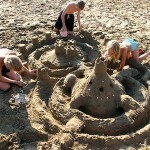 The hotel also organises different tournaments such as table tennis, French bowls, beach volleyball, handball and soccer. Guests can join the gym workout or aqua aerobic lessons in the pool every morning. 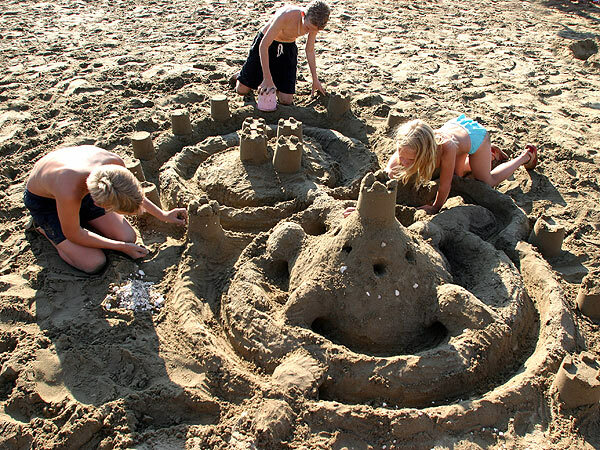 If you would like to experience water sports then why not try water skiing, banana boat rides, water scooters, wind surfing, scuba diving or sailing (at a charge). Children between the ages of 4 and 12 can have fun with the hotel’s animation team at the mini club and mini disco (5 days a week). During the evening you can relax and enjoy a drink while watching a show or listening to live music. 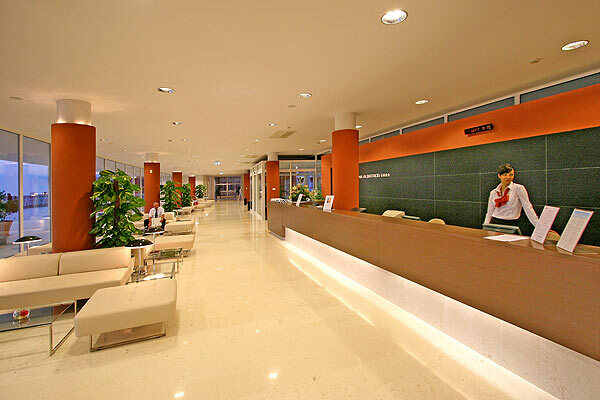 Hotel Laguna Albatros also has a 24-hour front desk, an exchange office, gift shop and a news stand. Additional services (at a charge) include Wi-Fi internet access throughout the hotel, laundry service, parking with surveillance and room service. The hotel has 7 floors and an elevator, but due to the many steps (inside and outside) it is not very suitable for less mobile guests.